If you use Boot Camp with macOS High Sierra, press and hold Option while restarting your Mac to choose an operating system. macOS High Sierra upgrades solid-state drives to Apple File System (APFS). This system currently requires Startup Manager to switch between Windows and macOS. 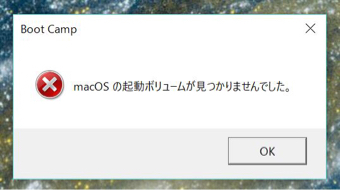 If you choose Restart in OS X from the Windows Boot Camp menu, this message appears: "Could not locate the OS X boot volume." Release the Option key when you see the?Startup Manager?window.